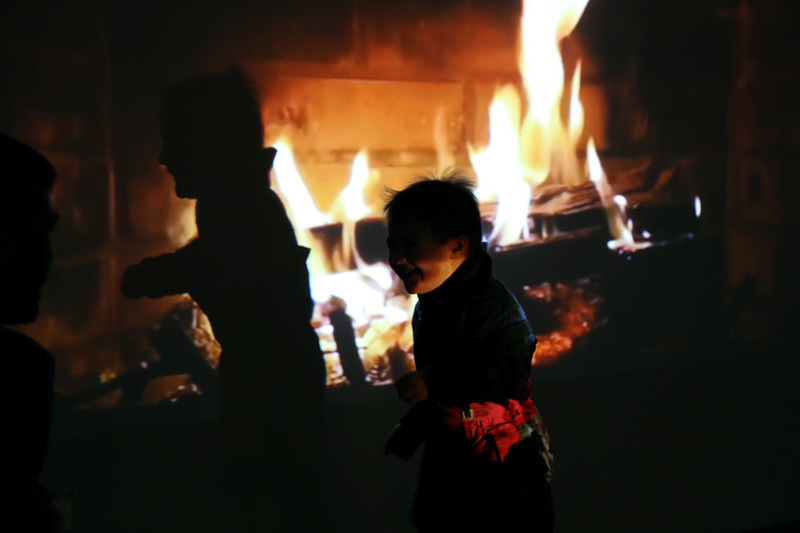 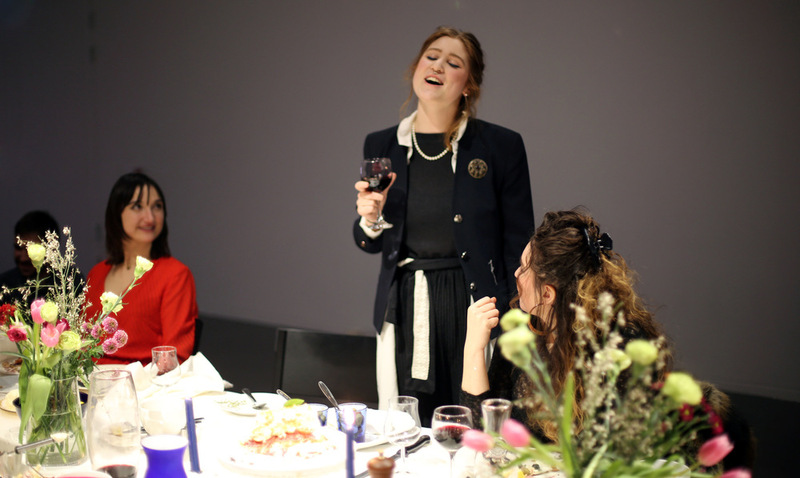 Performance in Galleriet at Umeå Academy of Fine arts, February 2017. 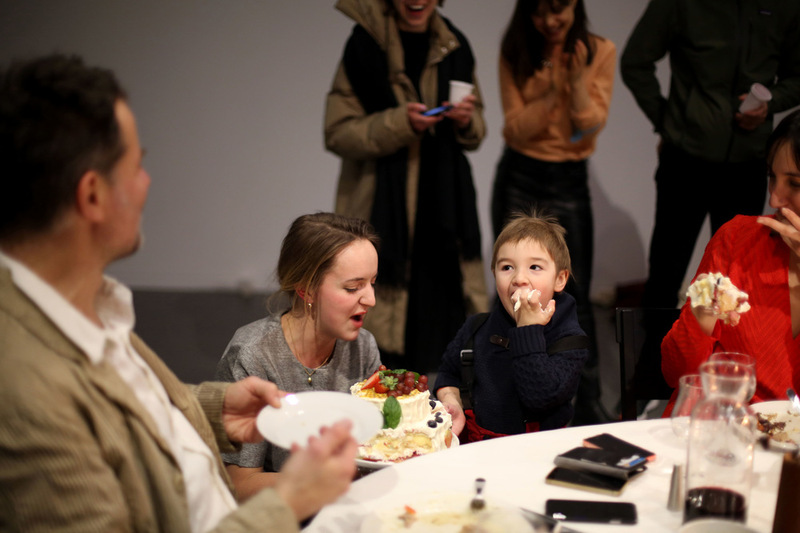 Participants: Ellen Skafvenstedt, Laura Heuberger, Alexander Skats, Carolina Andreasson, Frederico de Oliveira, Ariadna Mangrané Sancho, Madeleine Kozma, Christoph Draeger, Nadim Samman and Swetlana Heger. 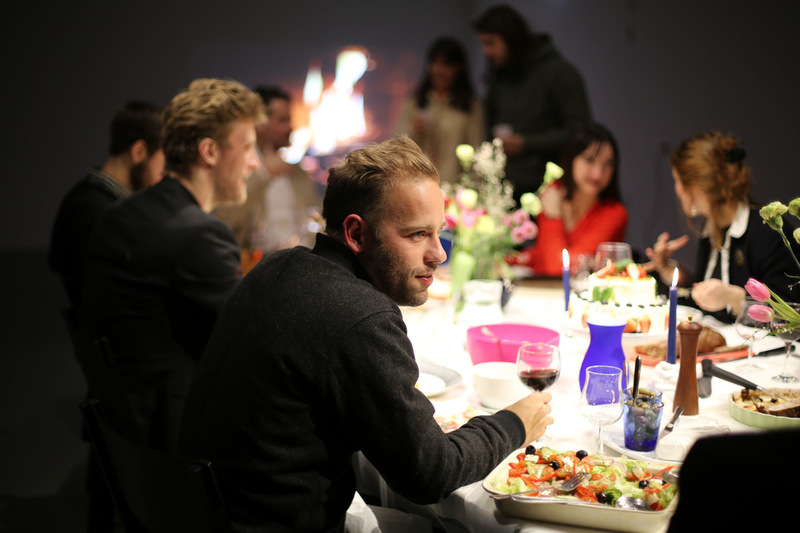 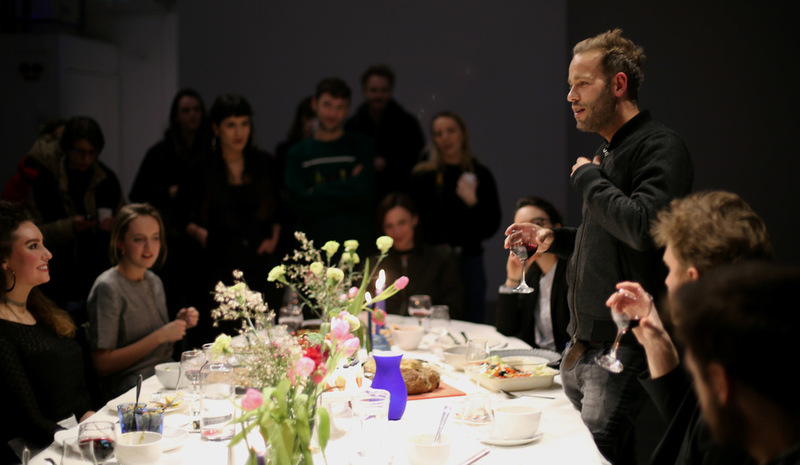 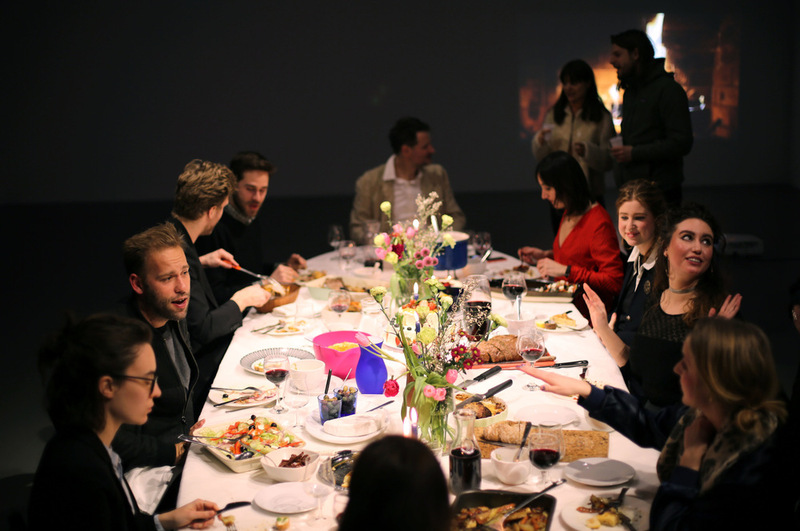 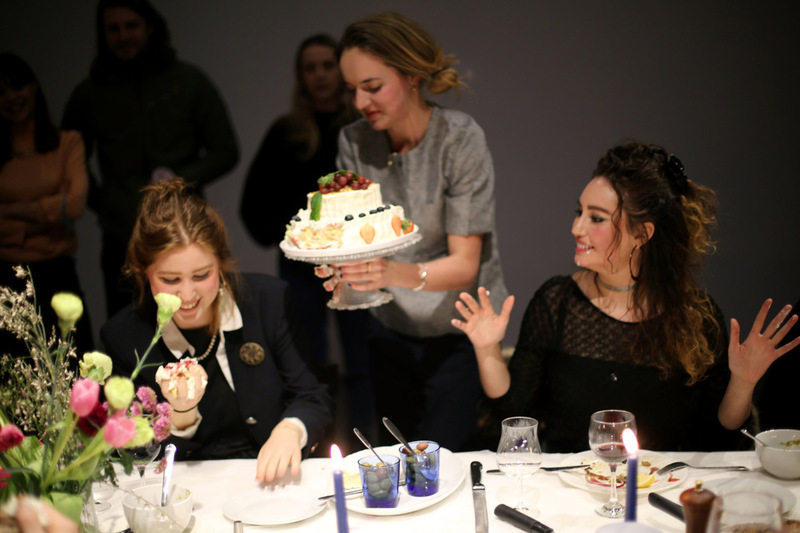 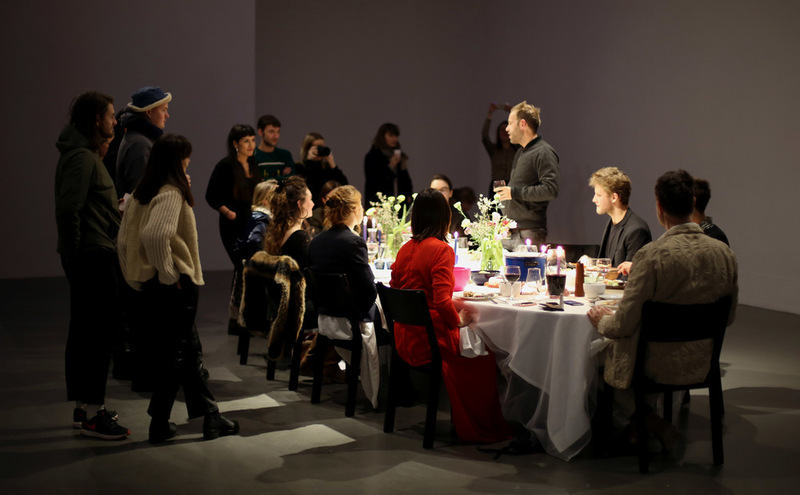 After the opening of an exhibition it is custom to invite selected participants to an afterdinner. 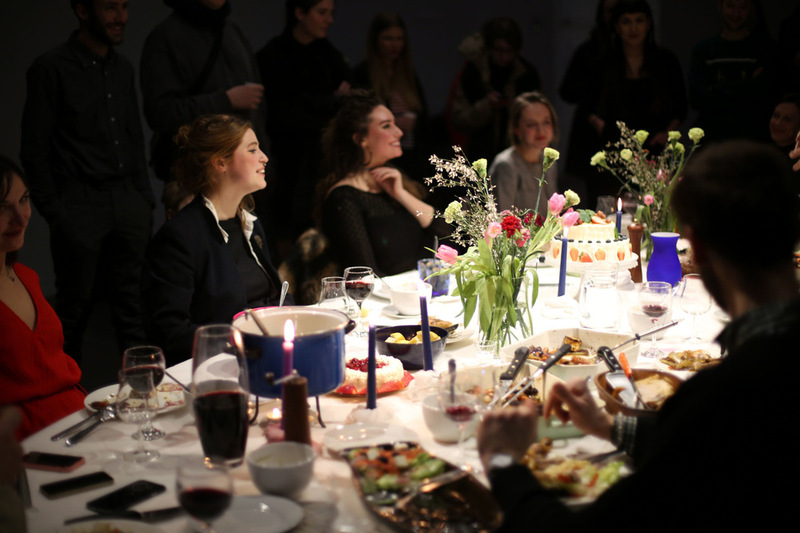 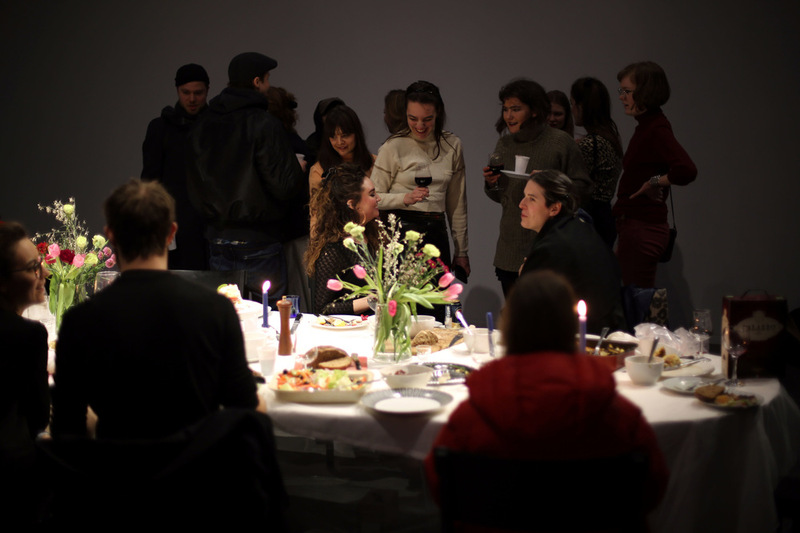 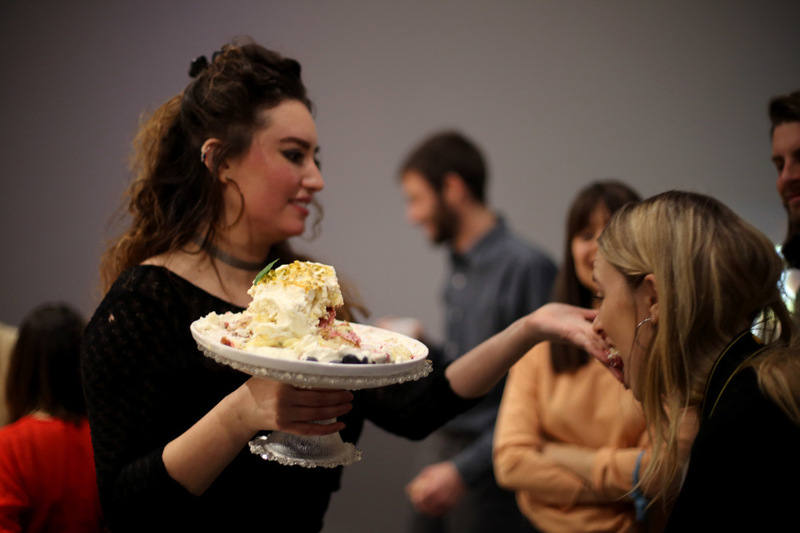 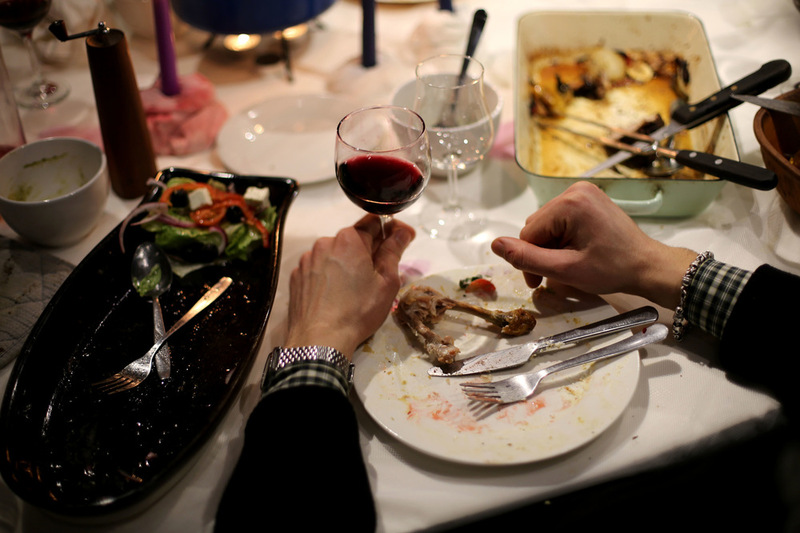 In connection to the show "twelvemillionthreehundredfortyfivethousandsixhundredseventyeight" that the participants of The Dinner had opened at Galleri Alva in Umeå the same day, this event was created as a still life image with references to the afterdinner as a concept. 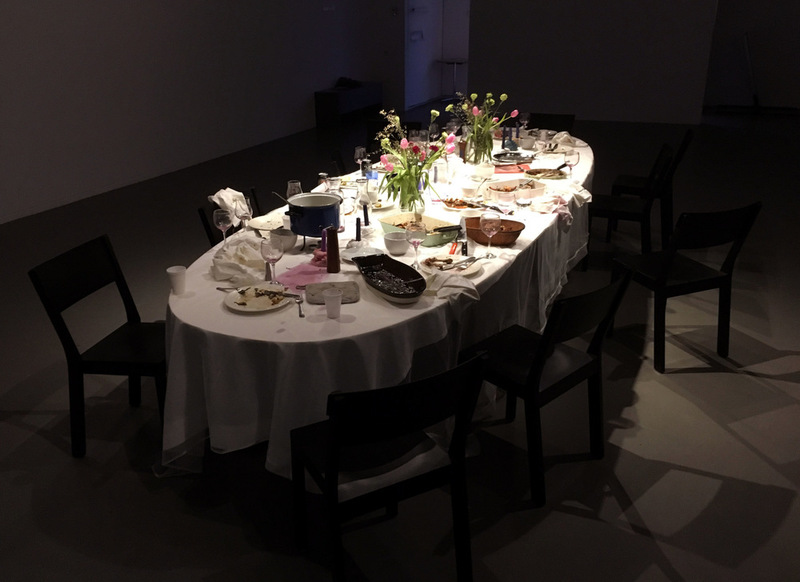 The audience was invited to watch a set table for nine people. 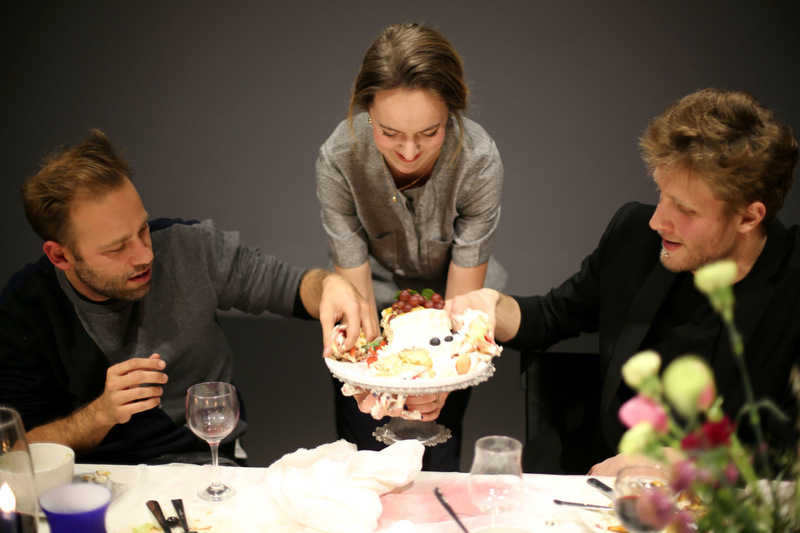 The scenery was an experiment, playing with stereotypes and the experience of inclusion and exclusion. 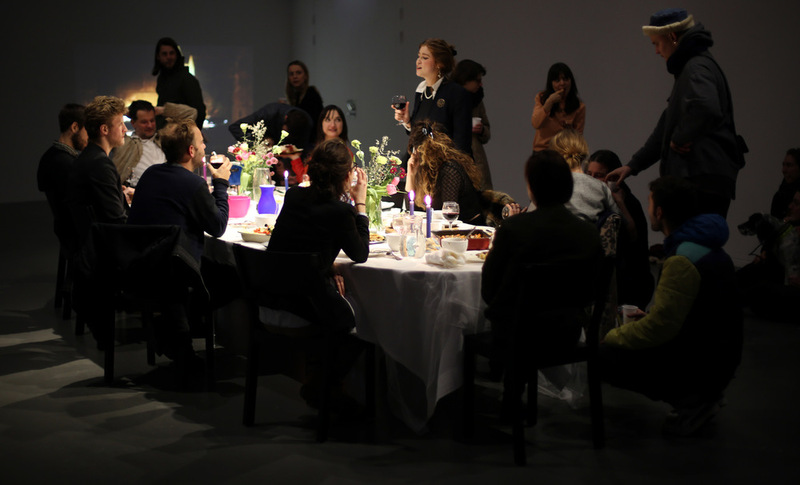 In the beginning of the event, people in the gallery were quite reserved, trying to figure out what roles they had in the room. 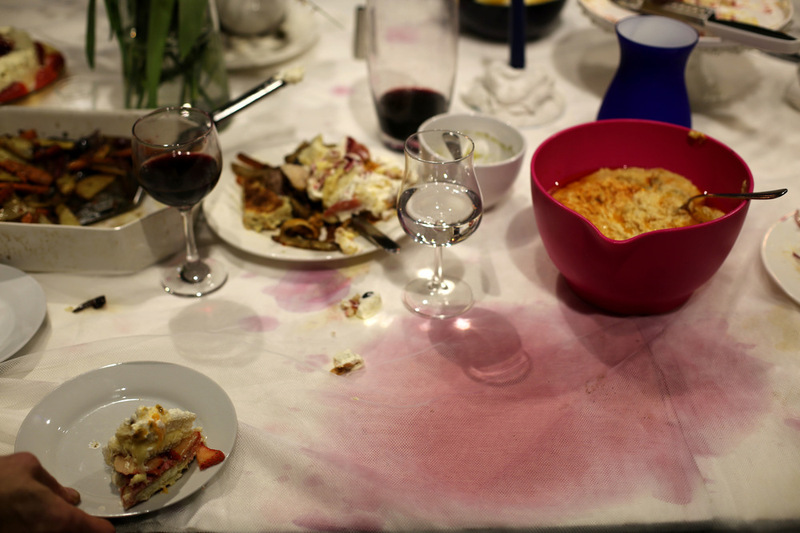 After a while the dynamics changed and some people began to test the limits of the setup. 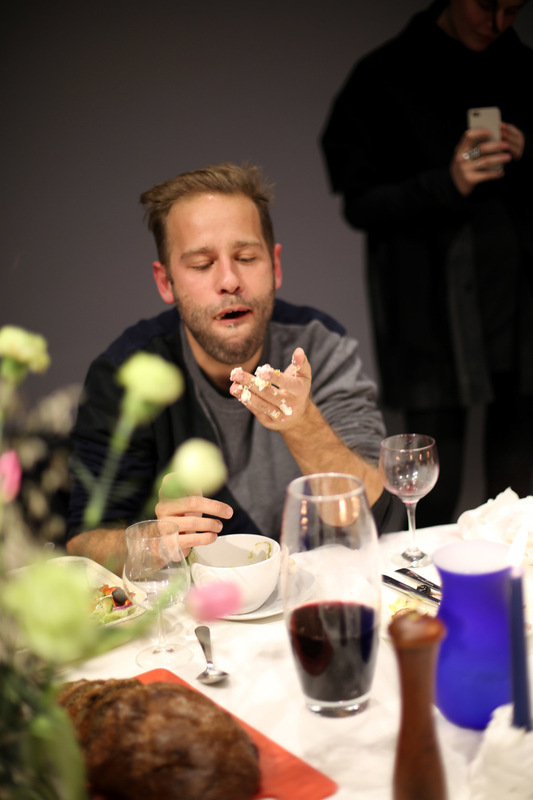 The dining group started to eat with their hands and fed the audience. 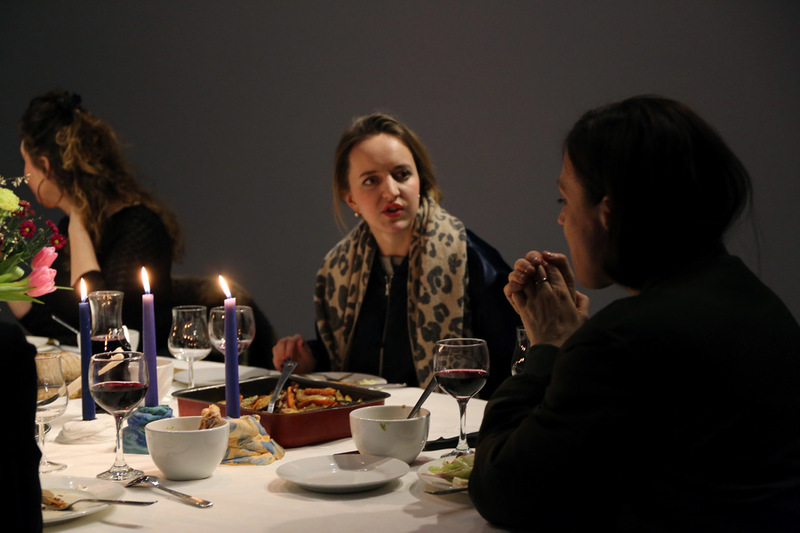 The audience went closer to the table to listen to, or interfere with the ongoing conversations. 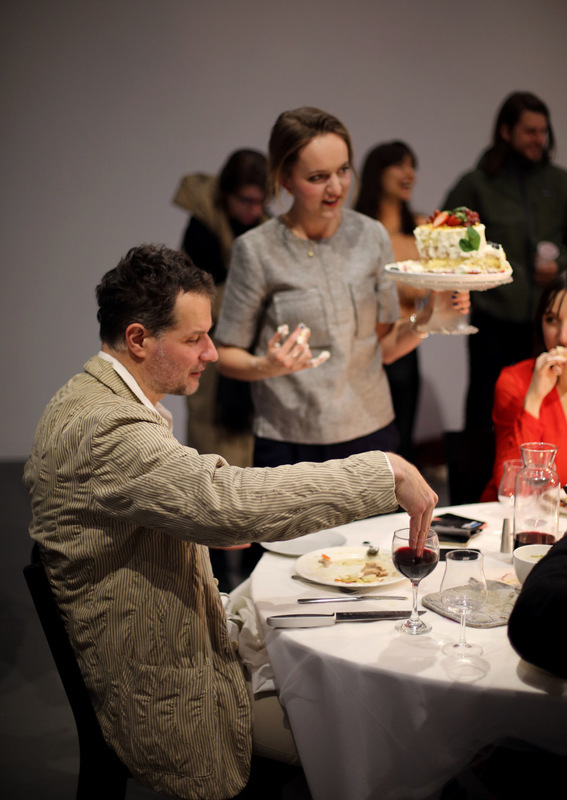 In the end of The Dinner the boarders between performers and audience had completely dissolved.